For the last few years, bamboo has become a popular alternative material for everyday products that wreak havoc on our environment, like single-use plastics and e-waste. According to One Green Planet, cultivating bamboo requires no pesticides, herbicides, or irrigation. It relies on natural rainfall and has a self-replenishing growth cycle. Most of all, it’s biodegradable. 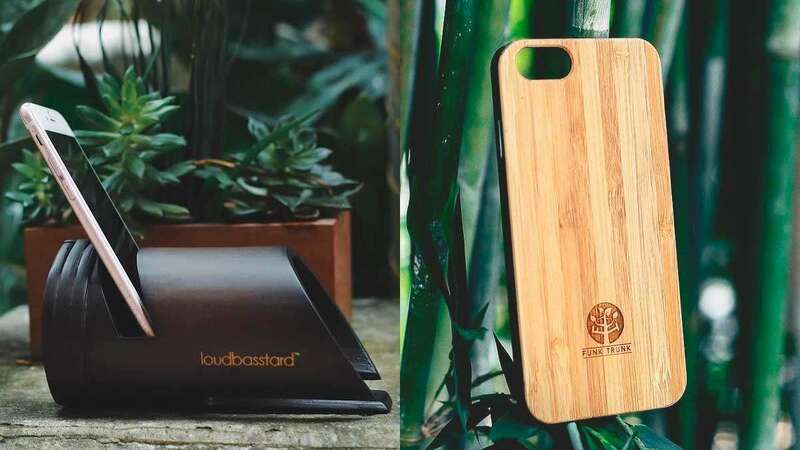 If you’re worried about our world’s growing plastic problem and would like to become more eco-conscious, you should consider spending on bamboo lifestyle products instead of the disposable and single-use counterparts. One of the basic items you should have in your eco starter kit, a bamboo toothbrush is more environmental than plastic and rubber toothbrushes. The only downside is that bamboo toothbrush makers are still finding a good material to replace the nylon bristles. In the meantime, when it’s time to toss your bamboo toothbrush after months of use, detach the bristles from the bamboo handle first and segregate. The single-use straw is one of the biggest contributors to plastic waste. In the US alone, a whopping 500,000,000 plastic straws are used each day, so it’s best to just go straw-less or bring your own personal reusable straw. Out of the four types of reusable straws available—bamboo, glass, metal, and silicone—bamboo is the hardest to clean and doesn’t last as long as the others. But it’s the most biodegradable. With bamboo-framed glasses, you’re not only protecting your eyes, but also the environment. In the event that you lose it while you travel, it will float and not sink in the ocean. More than 20 million tons of e-waste are produced every year, and that includes the cheap electronics and gadget accessories that we toss in the bin after just a few weeks of use. If you’re looking for high-quality sound speakers that don’t contribute to e-waste, try bamboo speakers. They amplify sound without using power, so you save on electricity bills as well. How long do your cheap phone cases last before they crack? Only a few days or weeks? Worse, these plastic accessories often end up in the landfills and oceans after you get rid of them. Instead of buying cheap phone cases every few weeks, invest in a bamboo phone case. It’s sturdier, lasts longer, and won’t harm the environment when discarded. While many people prefer investing in branded timepieces, there’s a growing movement of eco babes looking for a more sustainable, environmental, and minimalist way to tell time. Enter the bamboo watch. Fil-Am environmentalist Bryan McClelland developed Bambikes to help revolutionize the green economy in the Philippines. His Bambike business generates sustainable jobs for the rural poor (Gawad Kalinga) and give us an option for a more environmental and fair trade mode of local transportation. While BPA-free plastic containers are better alternatives to single-use plastic cups and disposable water bottles, a bamboo tumbler is also another option. For the minimalist, this wallet is lightweight, compact, and way more environmental than bulky pleather wallets. Unlike the usual plastic brushes, these bamboo versions are more comfortable to use and less harmful to the environment when tossed out after years of use.